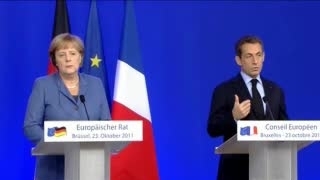 Eurozone crisis might bring about some important changes in the way the EU functions. Many see “two speed Europe” emerging out from the crisis. But what does it mean for the EU aspirations of the Balkan countries? Eurozone crisis might bring about some important changes in the way the EU functions. Many see “two speed Europe” emerging from the crisis. But what does it mean for the EU aspirations of the Balkan countries?